Zero Energy Homes are not limited to newly constructed homes. In fact, there is a tremendous opportunity to greatly improve the energy efficiency and comfort of America’s existing housing stock. There are over 133 million existing housing units in the U.S. and nearly 80% of those units were built before 1990, a time when energy efficiency was not much of a priority. Remodeling a home to become a Zero Energy, Zero Energy Ready, or Near Zero Energy Home is attainable! It takes some foresight, planning, and maybe a little bit of creativity. Here we share four inspiring stories of remodeling existing homes to become Zero Energy Homes. Patrick Hughes and Amy Sticklor are proving that getting to zero doesn’t have to involve major reconstruction, a lofty budget or a team of high priced experts. 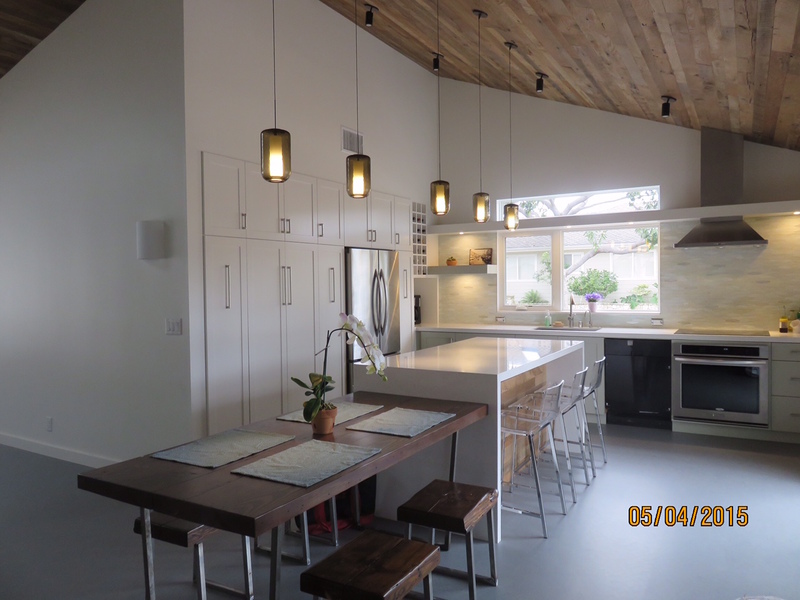 Hughes and Sticklor both work in the environmental field and they knew that they could pool their knowledge and efforts into making their 100 year old, 952-square-foot home a Zero Energy Home. Their three part strategy involved: reducing the amount of energy needed to keep the lights on, killing the vampire energy, and stopping the waste of money on heating bills. The biggest energy savings came from reducing the house’s lighting load. The couple replaced every bulb with LED bulbs, and installed motion sensors and daylight sensors. They replaced a few light fixtures with lower energy models, including a solar powered backyard spotlight. These changes alone reduced their lighting electricity needs by 85 percent. 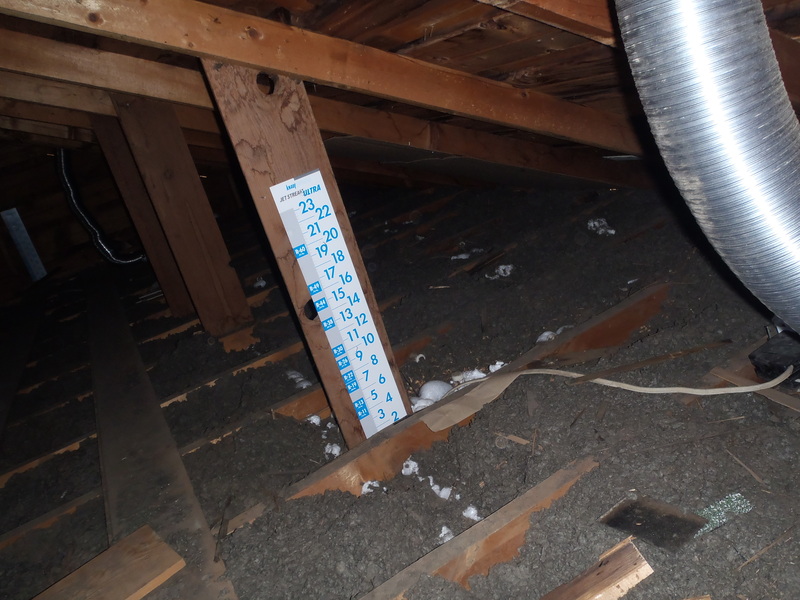 They cut their heating bill significantly by spending $500 on added insulation and by sealing air leaks. 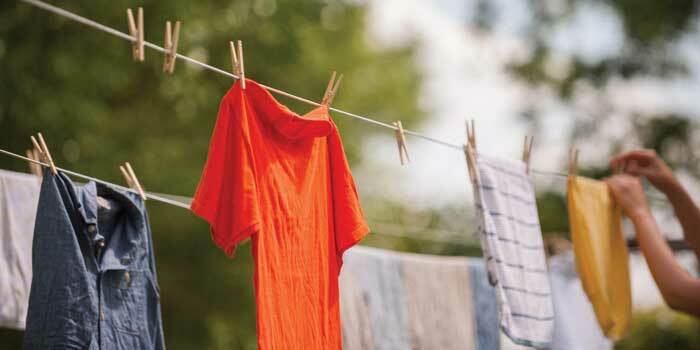 Installing a clothesline was one of the first things they did to reduce their energy usage. The couple also made a few small lifestyle changes, such as using a clothesline in the backyard to dry their clothes instead of using the dryer. They also installed 2.2 kW solar system on their roof. While it is a small system, from May through September of last year, the panels easily out-produced their household energy needs. The couple is aiming for complete Zero Energy in the near future. Read more about their story here. Good solar orientation with south or west facing roof surfaces. A raised foundation for easy plumbing and HVAC work. Less than 2,000 feet of living space. A one-story home for aging in place. A layout that accommodated passive heating and cooling principles. When they first walked into the 1957 ranch house, complete with original pink bathroom tiling, they knew they could realize their dream of living in a net zero energy home. The Brown’s started with redesigning the interior of the home, all within the existing walls and footprint. This allowed them to use the sunniest areas of the home for the kitchen and living space, areas where the family spends the most time. Next, they worked on improving the building envelope with better insulation and sealing. They made sure that their home was as air tight as possible by doing a blower door test that revealed some places in the home that still needed sealing. After sealing the areas, they performed another blower door test to make sure they sealed all of the gaps. They then worked on all aspects of energy usage, from water heating to lighting to cooktops, finding the most energy efficient systems for their needs. Little things, like installing a hot water recirculating pump under the kitchen sink for instant hot water, not only added energy efficiency, but also added water efficiency. They also consistently monitor their plug loads to make sure there is no wasted energy in the home. 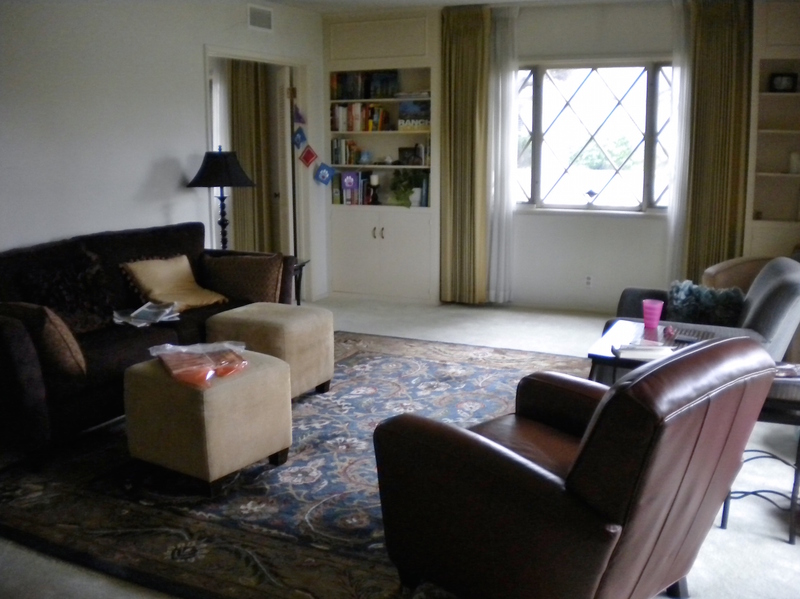 Front room after – Net Zero Nest. Sixteen solar panels provide renewable energy for the home. The home is on track to achieve Zero Net Energy for the coming year. Not only that, with low-water landscaping, fixtures and appliances, the home is very water efficient, an important feature in Southern California. It’s important to the Browns that they share their story to inspire others to remodel to zero. Check out their website at Net Zero Nest to learn more about this house. Matt Grocoff and his wife Kelly decided to embark on a big challenge in purchasing a Victorian era house in Ann Arbor, Michigan with the purpose of transforming it into a Zero Energy Home. The home, built in 1901 was uninsulated (except for a layer of newspaper in the attic dated 1902), had a 1957 gas furnace, lead paint and asbestos siding. It also had great solar orientation and the perfect roof for solar panels. Grocoff’s motto for transforming the home was “reduce, then produce.” Attention was first focused on creating the most energy efficient systems in the home through highly efficient lighting, appliances and control systems. In an effort to preserve the historic integrity of the home, there were few things they could do to improve the building envelope. The home had 2×4-framed walls, original wood windows and historic clapboard siding. To improve the building envelope as much as possible, two layers of clapboard siding were pulled off the exterior to allow for blown in insulation. The siding was then replaced and sealed. The original windows, although single paned, were restored, refinished and weather-stripped for air-tightness. Low-e storm windows were added to the exterior to greatly improve wintertime air leakage. 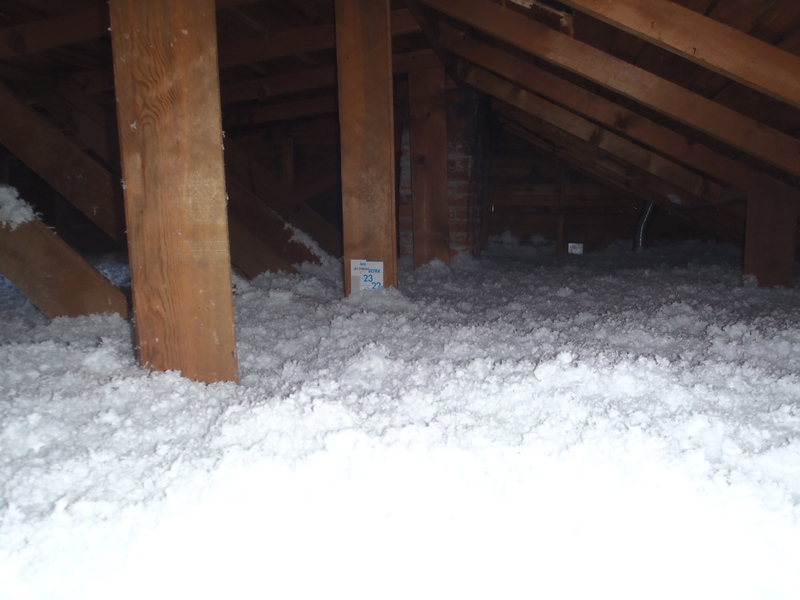 The attic was insulated, achieving R-29. Finally, an 8.1 kW solar system was added to the roof to provide 100% renewable electricity for all household needs. From February 2014 to February 2015, the home was 108% net positive, producing more energy than it uses. In January 2015, the home became the 4th home to achieve Net Zero Energy Building Certification under the Living Building Challenge. Read more about this inspiring remodel project at their website. The historic home photo and the modern Zero Energy Home! Investing in the future by retrofitting to Zero Energy and inspiring others. Diane Freaney is a former Wall Street investor that has turned her attention to investing in a Zero Energy Home, the Emerson St. House, a Portland, Oregon home originally built in 1997. The home was energy-intensive, leaky, unhealthy and moldy and the goal is to transform it into one of the country’s most energy efficient, healthy, durable and comfortable homes. The team is striving for Passive House certification, Earth Advantage Net Zero Certification, and U.S. Department of Energy Zero Energy Ready Home Certification. The team working on this project includes Josh Salinger of Birdsmouth Construction, Freaney’s company, Rooted Investing and Earth Advantage. Watch the video below for an inspiring look at this project. Do you have or know of a remodeling project with the goal of getting to Zero Energy? We’d love to hear from you and share the story! Please feel free to leave a comment below or send us a direct email with your thoughts.